Has your canary stopped singing? Or just slowed down his singing recently? 2. You can save a whole lot of cash and get canary song MP3s or a CD. I opt for the latter. The audio recording sings on demand, doesn't eat much, is easy to clean up after, and it's a lot easier on the pocket book. the most cherished CDs I own." "Get Canary Bird Song MP3s or a CD". Not only will high quality canary song recordings teach your bird to sing like a champ, it's a pleasure for YOU to listen to as well. And it will do wonders for lifting your bird's spirits. You'll be shocked at how quickly your canary will perk up and take on a new vivacious and inquisitive personality. an important part of good canary care. Classic Canary is BY FAR my favorite canary song MP3/CD available. I spent a lot of time learning and searching and listening, making sure my visitors have access to superb professionally done recordings. I have no reservation in saying..."It's the best!" Do you know canaries are mimickers? They don't have the ability to mimic human words like parrots but they WILL mimic other birds. With these recordings your bird will canary bird sounds and songs from...some of the TOP singers around. The canaries on this CD are NOT run-of-the-mill alleyway yodelers. No, these are talented, well trained *performers*. They know how to belt it out with the best of them. Your canary will be discovering and singing new canary song right along with the best in the business. This MP3/CD audio includes 13 tracks of Choppers, American Singers, and Warblers. Plus, a few of the canary song tracks are accompanied by delightful piano and acoustic guitar music...Very pleasing to your canary AND you. 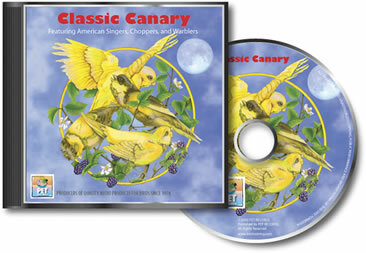 Click here to hear a sample of American Singer Canary Song with Music. Get the CD now at $19.97 (+ shipping/handling/applicable tax). Click the button below. Training song canaries: These are the kind of recordings breeders use to train their award winning canaries. Like I said...Your canary will learn to mimic these talented songsters. Canary bird singing training. Sexing canaries: Not sure if your canary is male or female? Play this canary song CD or MP3s of canaries singing. A male WILL sing. Improving attitudes: It'll put your canary in a happy mood, making him a more enjoyable companion. PLUS... This Special Report also includes a succinct run-down of important canary care issues... Housing and exercise. Feeding. Molting. Dealing with a sick canary. And a list of "Do's and Don'ts" that will help keep your canary S-I-N-G-I-N-G! This report is very much like a boiled-down version of CanaryAdvisor.com-->The most helpful information squeezed down to it's smallest form. And here's the best part... It's included in Ebook format so that you'll be able to gain INSTANT ACCESS. You'll be reading this Special Report on your computer screen in 5 minutes. It's included at no extra charge with your MP3 or CD order. Your canary will love this canary song recordings. He will brighten up with renewed interest. He WILL sing along with the "other canaries singing". This is more than a guarantee...This is MY personal promise. I want you to be completely satisfied. just let me know, return the CD to me, and I'll refund you're entire purchase price. Thank you for your fast response to my order for the Canary Album. I received the CD last Friday and played it for Caruso, my American Singer. He reacted immediately. You should have seen his throat fill up! He started singing song after song. He is a pretty good singer, but after a few songs he added another very high note to his repertoire that lasts a full 3 to 5 seconds, and then he goes into his usual song which usually ends with a "boo, boo, boo". I am amazed at the clarity of the CD. It sounds like I have a whole aviary here in my house again. It is a splendid album. Received the CD today! It worked! We played 2 tracks and the male canary was singing away. Saturday was a sunny and beautiful day here. I put Luther in front of the big picture window of my home so he could "catch some rays" and put on the new canary CD for him to listen to! When he first heard it, he started getting so excited and flying all over his cage. Then, HE STARTED SINGING AGAIN! It was so beautiful and made my heart soar to hear his lovely song after all this time! Needless to say, Luther and I are both overjoyed with the new CD! Thanks so much for recommending it! I want you to have these canary singing recordings because, although I can't prove it, I have a theory that when given the opportunity to listen to recorded canary song on a regular basis your lone canary's health will improve. I know--to some--that may sound silly. But although canaries are generally considered non-social birds, they DO enjoy hearing other canaries. I believe it will make your canary happier and healthier. Your canary will LOOK healthier and ACT healthier and more alive when you play these canaries singing. I see it happen all the time with my pet canaries...and I've had other canary owners tell me the same thing. Good moods make us feel good--and, I believe-->they're good FOR you. Is there any reason to believe it's different for our canaries? Like fresh water and seed you'll want this canary song MP3 or CD nearby at all times. You can own Classic Canary MP3s for just $9.97. Or the Classic Canary CD for $19.97 plus shipping. Seriously, claim your MP3s or CD now. You'll be very happy...or I'll insist on buying it back. P.S. Order now and you'll be downloading the MP3s and the Bonus Report in the next few minutes. I received my CD today and I really thank God that I found you on the web. ...within 10 minutes, the little canary was singing along with it and I enjoyed the music, also. 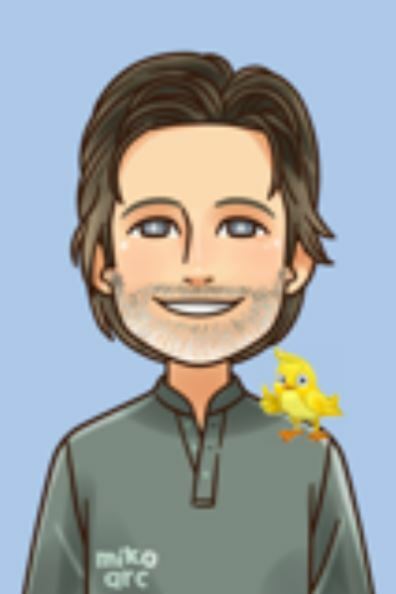 Now my canary is "singing like a bird" and I'm also sooooo thankful for all the useful information you provide about canaries. I expect to have a happy future filled with beautiful NATURAL music. The Bible doesn't mention about Jesus singing but I know that I am hearing HIM when I hear my Canary. I just received the CD, and I cant find words to describe how beautiful it is!! I have 2 canaries and one of them had stopped singing. The minute he heard this CD, he started chirping, and within minutes he was singing! I just absolutely LOVE it! Even people that have no birds would love it. I also have some finches that started making their little *Tweet* sounds when they heard it. I have found the CD to be very soothing to both my birds, and myself. I would highly recommend it to anyone, even if you don't have a canary! Thank you for making it available to us! My canary loves the CD I ordered. He got upset and started flying all over the cage when it stopped. I love my new CD! He sounds just like the CD. Wonderful investment, thanks sooo much! What did YOU think of Classic Canary on CD? YES. I do want the canary CD that I have already paid for. Play It All For An American Singer Canary?